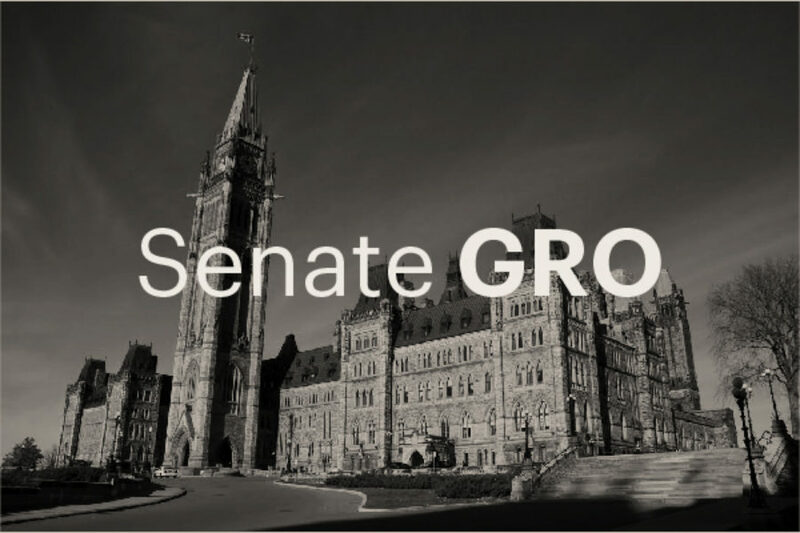 Welcome to the official website of the GRO, the Government Representative Office in the Senate of Canada. Here, you’ll find out how the Senate complements the work of the House of Commons by reviewing and advising on legislation proposed on behalf of Canadians. The GRO shepherds government legislation through the Upper Chamber, ensuring that it is thoroughly and efficiently reviewed. A major focus of the GRO is to support Senate modernization by advocating for a more independent, accountable, responsible and transparent Senate — one that conducts its deliberations in a less partisan manner. A look at government legislation currently in the Upper Chamber — and what these bills mean for you. So far this session of Parliament, 65 Government bills have become law. Bill C-21 enables the collection of basic biographic information about people leaving Canada, while respecting individual privacy rights. Legislation in support of the United Nations Declaration on the Rights of Indigenous Peoples was introduced by NDP MP Romeo Saganash. Committees being asked to meet during extended break period to deal with important legislation. The Government Representative in the Senate thanked Senators for their hard work and cooperation in a holiday speech in the Red Chamber on Dec. 12, 2018. Bill C-76 passes the Senate with a technical amendment. Bill C-47 allows Canada to join an international arms treaty.